With the blessings of His Eminence Metropolitan Pavlos, the Holy Metropolis is pleased to announce the return of Greek Orthodox Christian Television. GOCTV is the television ministry produced by the Holy Metropolis at the Cathedral in New York. For many years this program was available only in the New York City area via local cable television channels, and only at specific times. Now through the use of the Internet GOCTV will be available worldwide, twenty-four hours a day. GOCTV is a ministry that has a mandate to augment the Church?s enlightenment of the faithful, edification of the enquirer, and transformation of the skeptic, through the use of the medium of television. 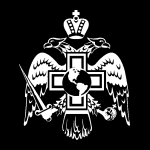 In the days ahead, GOCTV will have programs dealing with Ecumenism, Orthodox history in places such as Kosovo-Metohija, the maligning of our faith on such channels as The History Channel, and the slanderous portrayal of such great and holy men as St. Constantine the Great in film, on Internet forums, and in print. Greek Orthodox Christian Television can be accessed at: www.YouTube.com/GreekOrthodoxTV [and on this website itself; click Videos on the menu to your left—Webmaster]. The producers suggest that you subscribe to the channel. By subscribing you will be notified by e-mail whenever a new program is available.